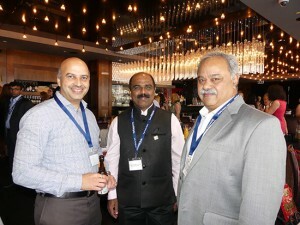 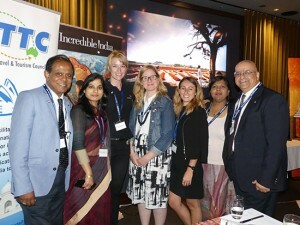 Over 75 guests comprising of travel agents, airlines, hoteliers and industry personalities dominating the India- Australia tourism spectrum attended the ‘Culinary Diversity of India’ event on 23 November 2016 at the waterfront Manjit’s Indian Restaurant. 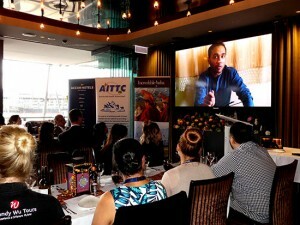 The guests watched a video clipping from Saransh Goila, a celebrity chef in India, heard from B. Vanlalvawna Indian Consul General Sydney and Kanchan Kurkeja Director India Tourism Sydney , received a wonderful presentation from Laura Cuthbert from Wendy Wu Tours about their itinerary to India and other parts of Asia, learnt about Indian food experience from journalist Fiona Caulfield and traditional Indian cuisine from celebrity chef Sandeep Chatterjee and picked up knowledge on modern trends in Indian eats from Manjit’s chef de cuisine, Varun Gujral while tickling taste buds with several dishes from various regions of India, specially prepared for the evening. 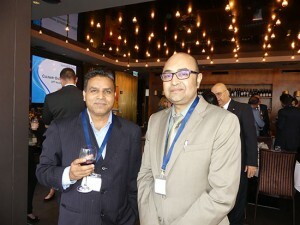 Lawyer, speaker and ABC radio and television personality Pallavi Sinha did the anchoring for the evening’s proceedings. 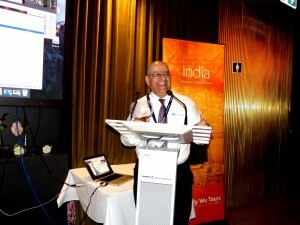 Shankar Dhar Vice Chairman AITTC kicked off the event with an opening note while Phillip Boniface Co Chairman & Treasurer tendered the vote of thanks and organized the lucky door prizes generously offered by Taj Hotels & Resorts, Wendy Wu Tours and Air India; Mary Anderson from the airline also speaking about greats fares from Air India to India and Europe. 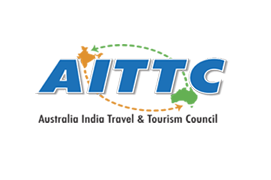 According to AITTC Chairman Sandip Hor, the idea behind this initiative is simple and straight forward. 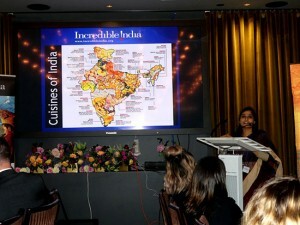 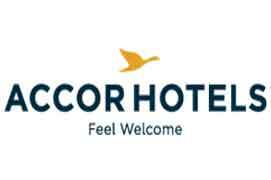 It’s to pass on enhanced knowledge about Indian cuisine and to motivate Australians, who love Indian food like rest of the world does, to visit India and experience a pleasing encounter with variety of food while savouring others touristic charms of the vast nation.